Young’s Ladies Night took place on November 16th! Ladies Night coincided with the start of hunting season and was put together to give the women of the community a night out to shop and be pampered while the men were off to hunt! It also gave local vendors the opportunity to sell and promote their goods and services. The event featured over 20 local vendors who sold everything from health & beauty products to jewelry to homemade crafts and treats. 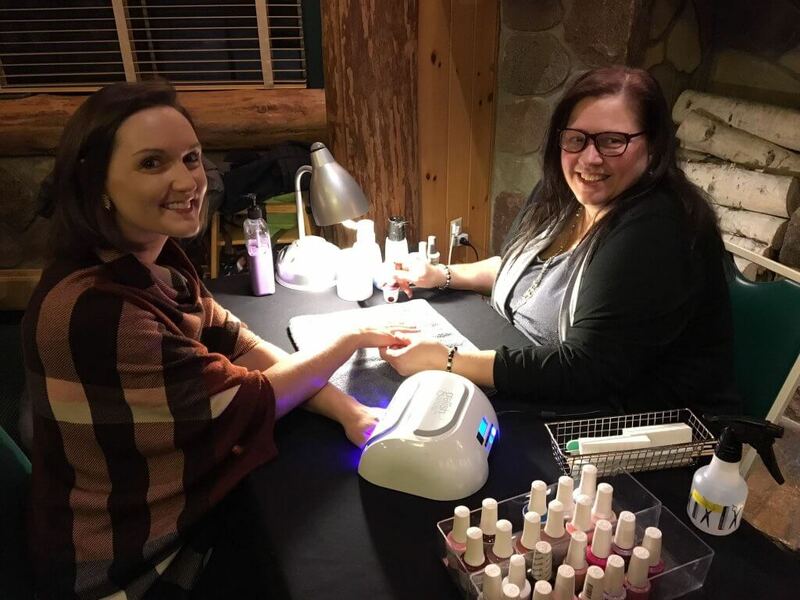 Guests also had the opportunity to get their nails done or a massage, all while they drank mimosas and enjoyed freshly made appetizers from FireBrick Bar & Grill. A s’mores bar was even available with the traditional toppings as well as specialty chocolates infused with delicious liqueurs. The night closed out with live music from the Jessie Mcpherson Band. Young’s was excited to see such a large response and intends to make this an annual event, perhaps even offering it multiple times a year! All of Young’s events are posted on our online Event Calendar as well as on our Facebook page. Follow @YoungsIronCounty for the latest updates!